The lawyers and attorneys at National Injury Help are investigating and accepting North Bay /Wine Country wildfire lawsuit claims. With these lawsuits we expect large cash claim settlements from the $800 million dollar fund that was recently earmarked by utility company PG&E to cover wildfire victims in Sonoma, Napa and San Francisco Counties. These wildfire cash awards could mean more money to the victims than from any home owner’s insurance payouts. If you or someone you know was affected by any of the North Bay wildfires, please contact us today for a free case review. Napa, Sonoma, San Francisco Wildfire Lawsuit Claims and Settlements. The regions and counties affected by the October 2017 North Bay wildfires include: San Francisco County, Napa County, and Sonoma County. Wine Country regions within each of the burn areas may also file wildfire lawsuit claims today. If you do not see your location listed, please call us directly at 1-800-214-1010, or use the form on this page. Our Norcal wildfire lawyers are ready to hold PG&E accountable for these man-made wildfires. Who can file Napa & Sonoma wildfire lawsuits claims? Property damage. Displaced homeowners and business owners whose residence or business was fully or partially impacted by the fires. This includes landscaping, trees, farms, vineyards, ranches, rental property, etc; that may have burned. Personal Injury or Deaths. Persons burned or deceased from the wildfires. Victims of smoke inhalation that required hospitalization or medical treatment. Personal Property Damage. Loss of personal property including house contents, vehicles, farm equipment etc, as a result of fires. This can include homeowners, business owners and renters. Loss of Rental Housing. 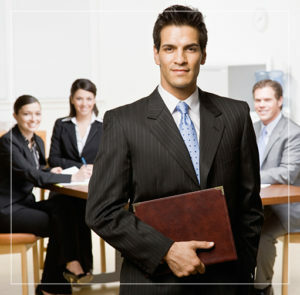 Includes personal property damage, relocation expenses, hardship, etc. Lawsuit claims against PG&E apply in the following counties with fire incident names. Sonoma County Fires includes the Tubbs fire, Nuns fire, Atlas fire, Pocket fire. Napa County Fires includes the Atlas fire, Nuns fire, Tubbs fire, Patrick fire. Mendocino County Fires includes Redwood fire. Lake County Fires includes the Sulphur fire. Yuba County includes the Cascade fire. Butte County includes the Cherokee fire, La Porte fire. Details and facts of the Napa, Sonoma, San Francisco wildfires. The devastating wildfires started on a windy night on October 8, 2017. This was a particularly windy night as reports of wind gusts between 40 and 60 miles per hour were recorded by the National Weather Service branch in northern California. The region had experienced record rain falls in the winter month followed by a hot summer. During this time native grasses and plants grew at a rapid rate, creating heavy fuel loads for the upcoming fires. Many of the affected areas haven’t burned in many years thus contributing even more fuel for the fire. These Northern California fires burned 245,000 acres in six counties killed 44 people, destroyed 8,889 structures and caused more than $9 billion in damage claims. It took fire crews over a week, working 24 hours a day to contain. It’s now estimated that total damages in the Northern California fires could far exceed insurance claims, topping out at $20 billion. This could be the largest man-made disaster in history. How did the Wine Country Fires Start? Who’s to Blame? As noted above the weather and lush summer greenery help to create the perfect setting for a massive wildfire. This is an agriculture rich area with mountain slopes, lush forests and deep canyons. On the night of October 8, 911 operators in Sonoma County recorded multiple calls from worried residence of falling power lines through the area during the windy night. Some locals claim that PG&E didn’t regularly trim tree branches close to the power lines, and some branches were even touching certain lines. 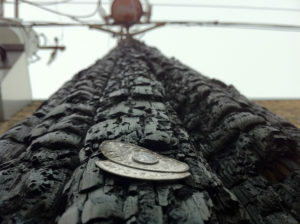 Power lines plus dry trees equals a fire hazard, and fires did erupt. Even though PG&E did send crews to the county, it was already too late as the high winds helped push the fire across the entire region enveloping entire neighborhoods. It didn’t take long for people to file lawsuit claims against PG&E for “gross negligence” of equipment. It was as early as November 2, 2017 that over 100 fire loss lawsuits were initiated and more to follow. California Public Utilities Commission Investigates Fires and PG&E. The California agency acted fact and on October 12 sent a letter to PG&E ordering to preserve any and all equipment including poles, conductors and other items burned in the fires and to keep any internal communications on the disaster. CPUC President Michael Picker issued this statement: “We are in contact with PG&E about their response, and we’ll be collecting information about maintenance history and vegetation management in these areas”. The result of their investigation led to some startling facts. In early January 2018, the California Public Utilities Commission revealed that damaged PG&E equipment was discovered at the origin sites of four of the major North Bay fires: Nuns, Atlas, Patrick, and Tubbs. The Wine Country wildfires could be the largest man-made disaster in the U.S.
“Since the wildfire began Sunday night, in the cases where we have found instances of wires down, broken poles and impacted infrastructure, we have reported those to the commission and continued to share that information with CalFire”. This isn’t the first time a large utility company has been successfully sued. In San Diego County, San Diego Gas & Electric paid more than $2 billion for 2007 wildfires that destroyed more than 1,200 homes and killed two people. PG&E faced more than $1 billion in claims after Cal Fire investigators found it responsible for the 2015 Butte fire, which destroyed 549 homes and also killed two people. PG&E was also successfully sued for the massive San Bruno natural gas line explosion in 2010 that killed 8 people. PG&E settled and paid $565 million to cover 170 claims from that lawsuit. The case looked at faulty welding and cited lack of proper maintenance of the gas line. In 1999 PG&E paid out $29 million settlement for a 1994 wildfire in the Sierra foothills after the California Public Utilities Commission found they diverted funds from its tree trimming services. Since PG&E is no stranger to massive lawsuits, they have already earmarked $800 million to settle claims against them from the Napa and Sonoma fires. What are the bases of the Napa & Sonoma Wildfire lawsuit? The Napa and Sonoma County wildfire lawsuit alleges that San Francisco utility Pacific Gas and Electric had poorly maintained power lines that were toppled by high winds, (reports of 40-60 mph wind gusts) triggering the fires in numerous locations in Sonoma. Some locals claim that PG&E didn’t regularly trim tree branches close to the power lines, and some branches were allegedly touching certain lines. Where are North Bay wildfires lawsuit cases being filed? All of the wildfire claims victims of the Tubbs, Nuns, Atlas, and Pocket fires for San Francisco, Sonoma County and Napa County are being consolidated. In an update on the litigation status, Judge Karnow ordered that all PG&E wildfire claims from the various counties will be coordinated before a single judge in San Francisco. The PG&E case is expected to be assigned to one of two judges who over see that court jurisdiction. How long to settle the Napa and Sonoma wildfire claims? It’s hard to say since the court hasn’t heard the case(s) yet, but our wildfire attorneys have estimated a time frame of 2-4 years for this wildfire litigation to take place. Our wildfire lawyers are in the opinion that these Norcal wildfire claims money could easily surpass any claims covered by homeowners insurance. Norcal Wildfire Burn Areas and Maps of affected areas. The Tubbs fire in Sonoma County ranged from Calistoga to Santa Rosa. The neighborhoods burned include Fountaingrove, Larkfield, Wikiup and Coffee Park areas. This area represents 137 square miles and ultimately burned 5,130 homes and took 24 people’s lives. Tubbs Wildfire Lawsuit Status: All victims in areas affected by the Tubbs fire can now file wildfire lawsuit claims. Call 1-800-214-1010 for details on how to file a claim. Acres burned added to Nuns Fire area. The Patrick fire in Napa County fire figures were added and consolidated into the figures for the Nuns fire. Patrick Wildfire Lawsuit Status: All victims in areas affected by the Patrick fire can now file wildfire lawsuit claims. Call 1-800-214-1010 for details on how to file a claim. These cases will be heard in San Francisco. The Atlas fire burned in Napa County close to Soda Springs and as far east as Lake Berryessa. Ultimately a fire break was established across Atlas Peak Road. 781 building were lost with 6 deaths. Atlas Wildfire Lawsuit Status: All victims in areas affected by the Atlas fire can now file wildfire lawsuit claims. Call 1-800-214-1010 for details on how to file a claim. These cases will be heard in San Francisco. The Pocket Fire was located off of Pocket Ranch Road and Ridge Range road in Geyserville. Pocket Wildfire Lawsuit Status: All victims in areas affected by the Pocket fire can now file wildfire lawsuit claims. Call 1-800-214-1010 for details on how to file a claim. These cases will be heard in San Francisco. 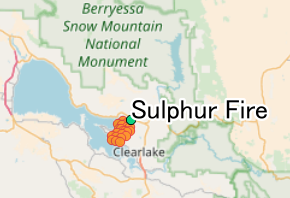 The Sulphur fire was located off highway 20 and Sulphur Bank road near Clearlake Oaks community. Clearlake Park, a residential neighborhood on the lake’s eastern shore, was one of the hardest hit areas. 158 homes were destroyed with no deaths reported. Sulphur Wildfire Lawsuit Status: All victims in areas affected by the Sulphur fire can now file wildfire lawsuit claims. Call 1-800-214-1010 for details on how to file a claim. These cases will be heard in San Francisco. The Cascade fire, part of the Wind Complex fires, was located off Cascade Way and Marysville road north of the Collins Lake region. It’s been reported that over 200 structures were lost and at least 2 people died. One of the areas hit hard was in Loma Rica. Cascade/Wind Complex Wildfire Lawsuit Status: All victims in areas affected by the Cascade fire can now file wildfire lawsuit claims. Call 1-800-214-1010 for details on how to file a claim. These cases will be heard in San Francisco. The Redwood Valley fire was located north of highway 20 just west of Mendocino National Forest, and south of Black Bart. Calfire reports 545 structures destroyed and 43 damaged. 8 people were killed including a 17 year old girl Kressa Shepherd. 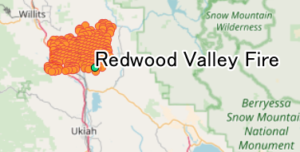 Redwood Valley (Mendocino Lake Complex) Wildfire Lawsuit Status: All victims in areas affected by the Redwood fire can now file wildfire lawsuit claims. Call 1-800-214-1010 for details on how to file a claim. These cases will be heard in San Francisco. The Cherokee fire was located off Cherokee road and Zonalea Lane in the Oroville area. As of this report no deaths listed from this fire. When we get the number of structures lost we will update. Cherokee / La Port Wildfire Lawsuit Status: All victims in areas affected by the Cherokee / La Port fire can now file wildfire lawsuit claims. Call 1-800-214-1010 for details on how to file a claim. These cases will be heard in San Francisco. If you or someone you know was affected, harmed, killed or lost any property in any of the North Bay /Wine Country wildfires, please contact our wildfire attorneys today for a free case review, there is never a fee for the call or the consultation. Please call us at 1-800-214-1010 or use the form at the bottom of this page. Napa Sonoma Wildfire Lawsuit Claims & Settlements PG&E, Wine Country wildfire claims page updated on April 10, 2019.